The CEO of major online retailing platform Shopify deleted a post detailing the company’s commitment to free speech this week as the company began purging gun-related retailers. On the updated list, semi-automatic firearms that accept a detachable magazine and offer a capacity greater than 10 rounds are no longer considered acceptable for sale via Shopify. Additional restrictions banning the sale of unfinished lowers, pistol grips, forward grips, threaded barrels, suppressors, thumbhole stocks and magazines over 10 rounds have also been instituted. 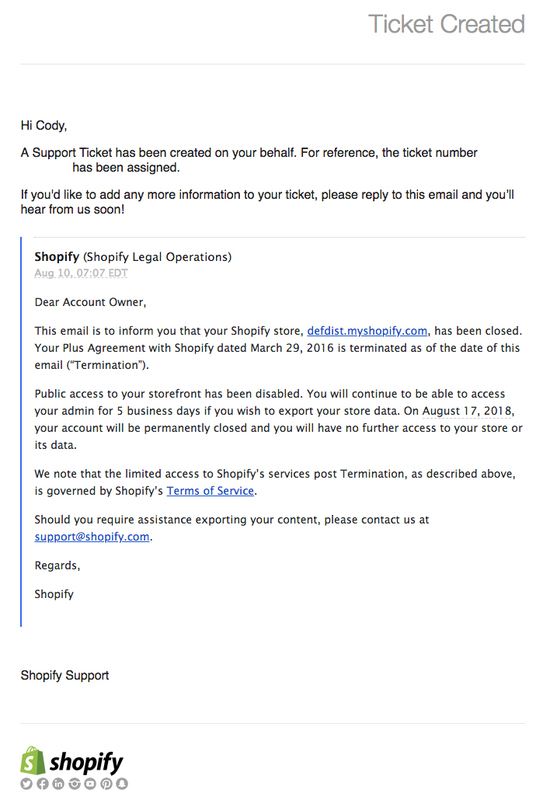 Shopify shut down Wilson’s Defense Distributed storefront at 7:07 am EDT according to an email from the company’s legal team to Wilson. The email said the account, which had been operating in good standing for over two years, was going to be shuttered in the next week and the storefront it was operating would be immediately inaccessible to the public.